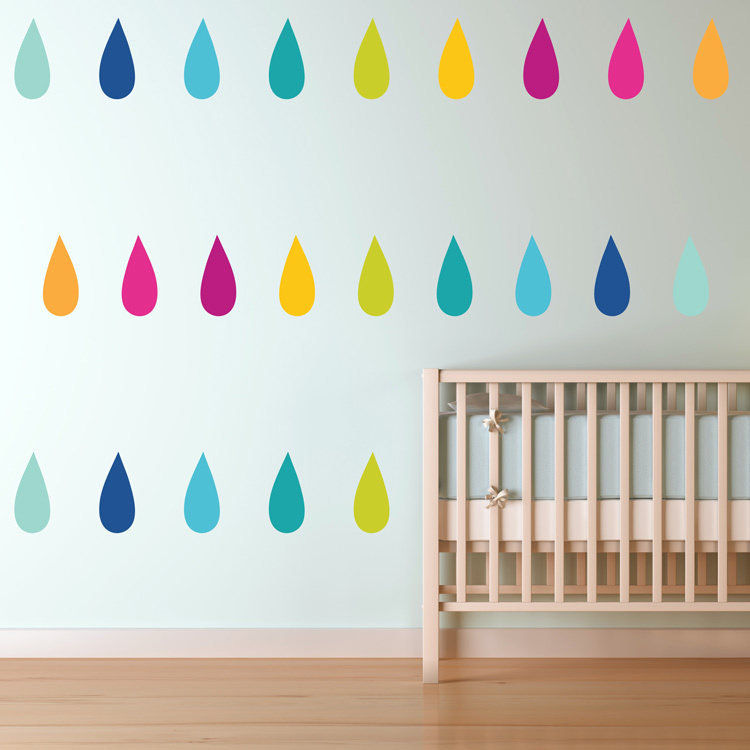 Give your room a modern fun look with our Colorful Tear Drops printed wall decals! Our Printed Decals are easy to apply and are ideal for any smooth and flat surface. If your walls have any texture, we recommend purchasing a Printed Test Decal Sample Pack first. Each teardrop measures approximately 5.5 inches high by 2.5 inches wide. 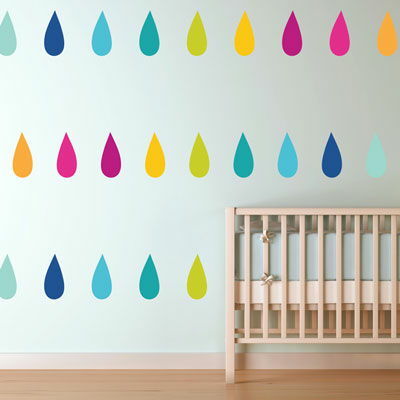 Each set will include 60 teardrop wall decals. Picture is only showing 27 droplets. You will receive MORE THAN DOUBLE of what is shown! Decals can be spaced however you like during installation to create your own look. 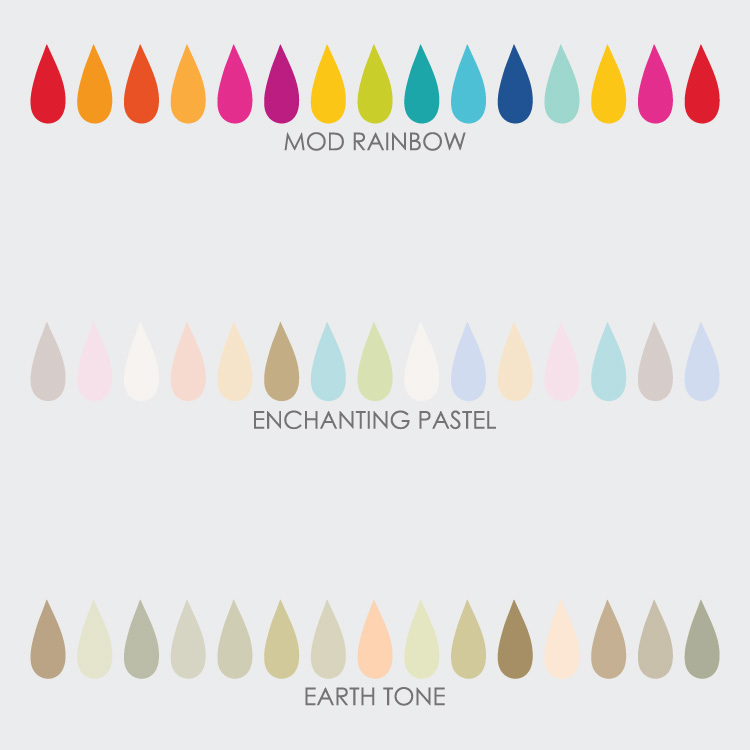 Main picture is our Mod Rainbow color combination. This item is also available in other color combinations. See detailed images for color options. Color adjustments are available for an additional fee, just contact us! These wall decals are superb. We've tried a few from different sellers, and so far these are the easiest to install. Communication was friendly and shipping was prompt. Thank you! I absolutely love the decal I ordered! It was incredibly easy to apply and turned out amazing. The stark white fireplace in my apartment that nothing would stick to is now the center of attention! I have had so many compliments on it already! The only thing I would suggest for anyone putting up one of these is to make sure to keep small animals and children in another room during the process! Two obnoxious kittens was the only struggle I had! LOVE LOVE LOVE this product! I decorated my nursery with the white bird cages and dark brown birds,..LOVE IT! Super easy and looks fantastic! You guys did a really good job with the decals! I loved the extra ones that you sent, thank you! !